A few more things to know for New Master Rules era, and some clarifications for older cards. 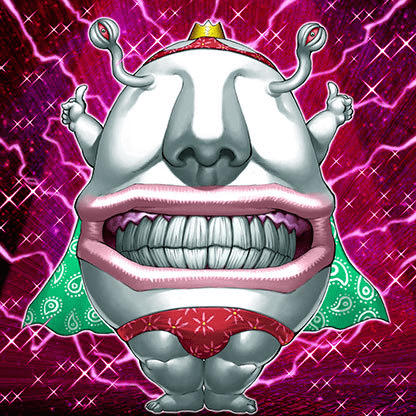 Q: When I Summon an Ojama King or Ojama Knight and apply its effect, can I choose an Extra Monster Zone? A: The effects of Ojama King and Ojama Knight have you choose a number of your opponent’s unused Monster Zones, and make them unusable. Since an unused Extra Monster Zone is not considered to be either yours or your opponent’s, an Extra Monster Zone cannot be chosen with the effects of Ojama King and Ojama Knight. Q: During my opponent’s Main Phase, they activate the effect of their Link Spider which Special Summons a Normal Monster from their hand. At this time, can I activate Memory Loss? A: When activating Memory Loss, its effect must negate the monster effect that was activated, and change that monster to Defense Position. In this scenario, the monster activating its effect is Link Spider, which is a Link Monster and cannot exist in Defense Position. Therefore, you cannot chain Memory Loss to its effect. Q: Can I activate the first effect of D/D/D Marksman King Tell by targeting a Link Monster? Q: While Future Visions is face-up in the Field Zone, when a monster that is Normal is banished by its effect, and then returns to the field during the monster’s controller’s next Standby Phase, which player chooses the Main Monster Zone to which that monster returns to? Q: I activate the effect of Junk Archer, and banish an opponent’s Green Baboon, Defender of the Forest until the End Phase. Then, if that Junk Archer leaves the field before I reach the End Phase, such as by being destroyed by battle or card effect, what happens to the opponent’s banished monster? Q: Black Garden is face-up in the Field Zone. When I Normal Summon a Botanical Lion, the effect of Black Garden that halves its ATK and Special Summons a Rose Token activates. If my opponent chains Compulsory Evacuation Device and returns Botanical Lion to the hand, how does the effect of Black Garden resolve? A: As in this scenario, if the monster that was Normal or Special Summoned to activate the effect of Black Garden is no longer on the field when its effect resolves, its ATK cannot be halved, also no Rose Token is Special Summoned. Q: A Snow Plow Hustle Rustle equipped with Train Connection, and a Ruffian Railcar, are face-up on my opponent’s field. In this situation, if a Number S39: Utopia Prime equipped with Fiery Fervor battles, will the effect of Fiery Fervor be applied? Q: I attack my opponent’s 3000 ATK Ancient Gear Reactor Dragon with my 2800 ATK Divine Dragon Lord Felgrand, and activate Clashing Souls during damage calculation. The effect results in my opponent’s cards including Ancient Gear Reactor Dragon being sent to the Graveyard after damage calculation. In this case, can I activate the effect of Divine Dragon Lord Felgrand that Special Summons a Level 7 or 8 Dragon-Type monster from my Graveyard? A: A battling monsters sent to the Graveyard after resolving the effect of Clashing Souls is no longer considered to be destroyed by battle. Therefore, the opponent’s Ancient Gear Reactor Dragon is not treated as destroyed by battle in this situation, so you cannot activate the effect of Divine Dragon Lord Felgrand. Q: Skill Drain is face-up on the field, and its effect that negates the effects of all face-up monsters on the field is applying. In this situation, if a face-up Crystal Beast Ruby Carbuncle on my field is destroyed by battle or card effect, can I place it in my Spell & Trap Zone as a Continuous Spell Card instead of sending it to the Graveyard? Q: Skill Drain is face-up on the field, and its effect that negates the effects of all face-up monsters on the field is applying. In this situation, if a face-up Archlord Kristya on my field is destroyed by battle or card effect, does its effect place it on the top of the Deck instead? Q: I activate the effect of Sephylon, the Ultimate Timelord, and Special Summon an Archlord Kristya with its effects negated. Then, when Archlord Kristya is destroyed by battle or card effect, does its effect place it on the top of the Deck instead? Q: An Inzektor Giga-Mantis equipped with Inzektor Orb is face-up on my field. In this situation, if Inzektor Giga-Mantis attacks, but my opponent activates Fiendish Chain and targets it, what happens if I chain the effect of the equipped Inzektor Orb? A: The effect of Inzektor Orb that activates by sending it to the Graveyard is one that only negates the effect that it is directly chained to. Therefore, the effect of Fiendish Chain is negated when the Chain Link created by it resolves, but there is no apparent effect that occurs at that time, and the effect that negates the targeted monster’s effects and prevents it from attacking while Fiendish Chain remains face-up on the field is applied normally. Q: Can I activate the effect of Neo-Spacian Dark Panther by targeting a Token? A: You cannot target a Token with the effect of Neo-Spacian Dark Panther. Q: When activating Super Koi Koi, do I need to have 3 Main Monster Zones available? A: If you have no Main Monster Zones available, you cannot activate Super Koi Koi. But, since it is not certain that the 3 cards you excavate will be “Flower Cardian” monsters, you can activate Super Koi Koi even if only 1 or more of your Main Monster Zones are available. For example, if you activate Super Koi Koi and only have 1 available Main Monster Zone, and the excavated cards are Flower Cardian Willow with Calligrapher, Flower Gathering, and Flower Cardian Paulownia, you will Special Summon either Flower Cardian Willow with Calligrapher or Flower Cardian Paulownia, but the other cannot be Special Summoned. That monster and the excavated Flower Gathering are banished face-down, and you lose 2000 Life Points. Q: Can I activate Super Hippo Carnival if I only have 1 unused Main Monster Zone?